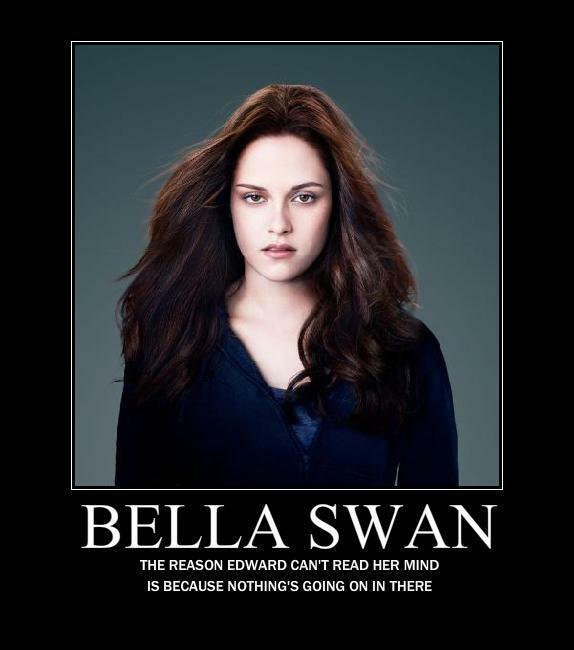 Bella sisne Motivational. . Wallpaper and background images in the Critical Analysis of Twilight club tagged: anti twilight funny. This Critical Analysis of Twilight fan art contains portrait, headshot, and closeup. There might also be pagiging kaakit-akit, apila, and hotness. ROFL!! I can believe how true that is. I re-found my faith in humanity! Whoever made it is a genius!